Himalayan Hideaway is located in Uttarakhand, one of the newer Indian states. This area was formerly part of the north-western districts of Uttar Pradesh. The state is known for its natural beauty, thanks to its proximity to the Himalayas, and the many Hindu temples and pilgrimages sites located there. The dhamas are pilgrimage sites that every devout Hindu should visit at least once. 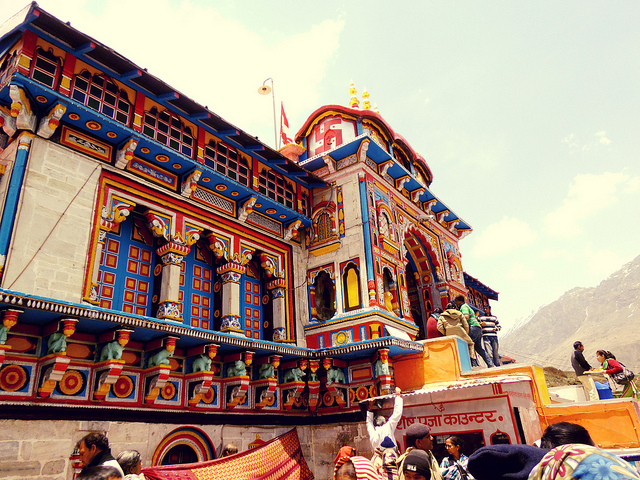 There are four “big” dhamas, one of which, Badrinath, is in Uttarakhand. This dhama is devoted to Vishnu and has been listed in scripture and legend for centuries. The mountains around Badrinath are mentioned in the Mahabharata, the epic saga of ancient India. There are also four “small” dhamas that make up one of Hinduism's most spiritual and auspicious pilgrimage circuits. All four are located in the Garhwal region of Uttarakhand. Yamunotri, the origin of the Yamuna River, and Gangotri, the origin of the Ganges River, are devoted to Shakti, the primordial cosmic energy and dynamic force of the universe. Kedarnath, the third site, is devoted to Shiva and Badrinath, the same Badrinath as mentioned above, is the fourth. The temples of these four pilgrimages open in late April or early May, on the auspicious day of the Akshaya Tritya, and they always close on Diwali, in mid-October or early November. During the winter, the extreme cold and the heavy snow make it impossible to visit the temples. Another important pilgrimage city is Haridwar, one of the seven holiest places for Hindus. It is the gateway to the four small dhamas and is also the starting point on the journey to the sacred sources of the rivers Ganga and Yamuna. Every 12 years, Haridwar hosts the Kumbh Mela. According to one of the Creation of the Universe legends, the gods and demons once churned the ocean to retrieve a Kumbh (pot) containing the nectar of immortality (Amrit). Accounts vary, but it was either Dhanvantri, the divine healer, or Garuda, the celestial bird, who held the Kumbh. In any case, the gods and demons battled for possession of the pot. During this fierce battle in the sky, drops of the nectar spilled at four different places: Prayaga (Allahabad), Haridwar, Nasik and Ujjain. Since then, devotees converge on one of the four cities every three years to commemorate this divine event. They take ritual baths on the banks of the Ganges to wash away their sins. In future posts, we’ll introduce you to the natural beauties of Uttarakhand that can be visited from Himalayan Hideaway. From forest reserves and national parks, to hill stations and mountain peaks, there’s something for everyone!